▴ Photo: map of A PILGRIMS’ WAY. 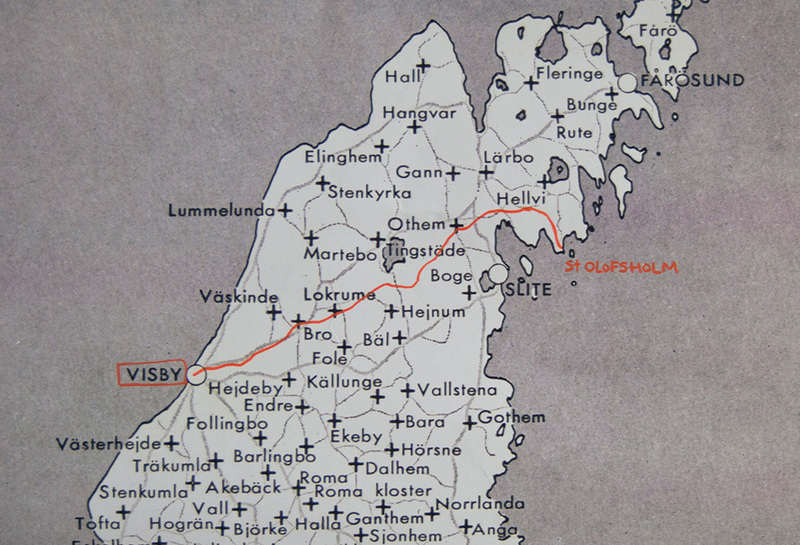 From Visby to St Olofsholm - an art research project. Courtesy of Juanma González. For the AIR_BALTIC residency at the Baltic Art Center during fall 2016, the artist Juanma González, the choreographer Mira Mutka and Johanna Nordenankar, ­ owner of the riding school Haltarve Islandshästar, will use a historic pilgrims way located in Gotland as a three-week exploration into developing a cultural heritage site for horse lovers. 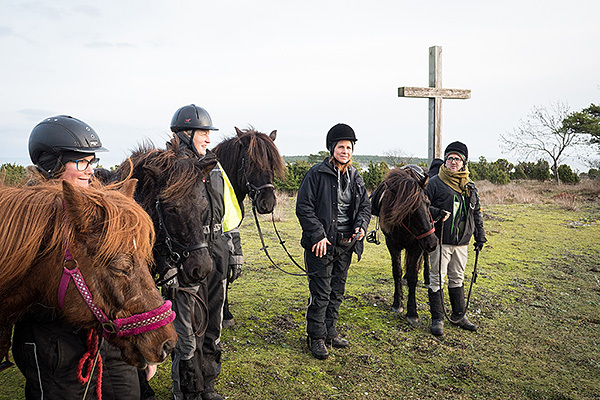 During the residency the group will, together with invited guests, perform a three-day pilgrimage on horseback followed by a public events programme that includes workshops, performances and film screenings. The pilgrimage passes by and connects to medieval churches, old limestone quarries, farms occupied since ancient times, archaeological remains and low-population parishes. Through the project the group will explore what happens when we swap the comforts of our daily life for the seeking of the meaning of life and how an existential trip on horseback can transform into a locally and socially rooted tourist experience. Local events include visits to churches and art performances. Gotland. An Island. A Way. A defining feature of the current society is how we spend our vacations. Travelling has become a popular practice for escaping the environment of everyday life. Scholars have interpreted this temporary respite as a metaphorical pilgrimage. Under this analogy, the tourist becomes a ‘secular pilgrim’ searching for a non-quotidian experience and a punctuation mark in his/her biography. This recreational demand is echoed by the tourism industry that includes in its holiday packages sacred routes -like Camino de Santiago in Spain and S: t Olavsleden in Sweden-Norway- and secular modern pilgrimages -like Elvis Presley’s grave at Graceland. The AIR_BALTIC Residency at Baltic Art Center is aimed at supporting practices that focus on the geo-political and social-historical context of the Baltic Sea region, and encourage reflective thinking about its rich heritage and multiple identities. It should also be seen as an opportunity to build different types of collaborations, which may have an interdisciplinary character.